PMG Sports clients Phil Dalhausser, Casey Patterson, Jake Gibb, Nick Lucena, Sean Rosenthal, Emily Day and Summer Ross will all be gunnin’ for the title at the 56th annual Manhattan Beach Open this weekend. 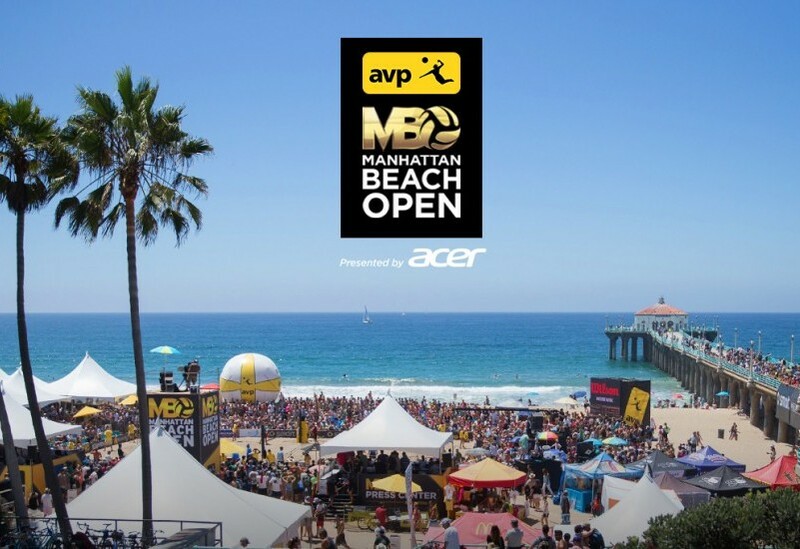 The granddaddy of them all, The AVP Manhattan Beach Open (#AVPMBO) is going down this weekend on the beautiful beaches of Manhattan Beach, California. Over 40,000 fans are expected to attend the longest-running, continuous tournament in beach volleyball history often regarded as the “Wimbledon of beach volleyball”. The main draw kicks off on Friday and the final matches will be broadcasted live on NBC from 1:30-3:00 P.M. PDT on Sunday. This annual tournament is an exciting celebration of the sport and a valuable opportunity for corporate sponsors to gain visibility in the beach volleyball marketplace through on-site activations and athlete partnerships. The sport’s top athletes are sponsored by brands targeting a niche lifestyle demographic only shared with pro surfing. These consumers are cool, fun and wield a disposable income. Beach volleyball is now the crown jewel in the eyes of many leading brands. Companies such as Under Armour, LuLuLemon, John Paul Mitchell, Mission Athlete Care, RapidForce PHS, Oakley and Red Bull just to name a few have found these athletes can authentically deliver their brand message. Fans can share content and follow all the action in real time on social media using the hashtags #AVPMBO and #AVP2015. In addition to the many sponsored events taking place around the courts, PMG Sports clients and reigning Manhattan Beach Open champs Phil Dalhausser and Sean Rosenthal are set to be honored with bronze plaques etched into the pier at this year’s Walk of Fame Pier Ceremony. PMG Sports has a full roster of talented clients competing for the men’s and women’s title. Casey Patterson and Jake Gibb have won 2 of the first 3 AVP events this season and have their sights set on the tour’s most coveted trophy. Phil Dalhausser will be playing his second event with new partner and friend Nick Lucena following a second place finish at the AVP Kingston Seattle Open. Emily Day has already taken home 1 AVP title this season while Summer Ross and her new partner Lane Carico continue to find their rhythm on the sand after a second place finish in Seattle. Premier Management Group is an elite sports marketing agency with a goal to create a space in the industry that is completely unique through superior creativity and innovation. PMG’s goal is to provide each client with the same level of professional representation and service. Additionally, PMG is an industry leader in providing corporate consulting services and each client, whether an athlete or corporation, is treated with an added personal touch. For sponsorship opportunities please contact Steven Weinreb at steven(at)pmgsports(dot)com or call (917)338-1665. For media inquiries please contact Matt Uberseder at matt(at)pmgsports(dot)com or call (919)459-5428.